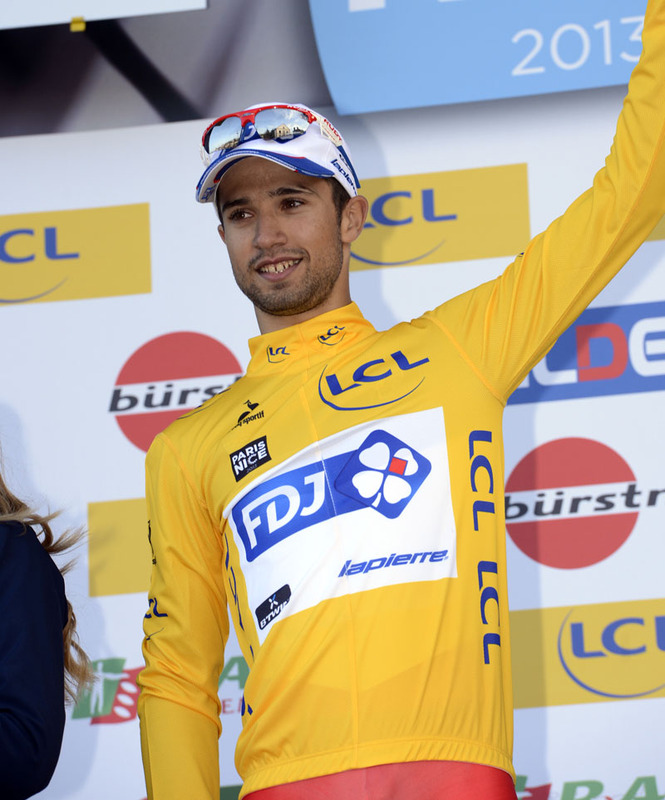 Tour de France 2013: Who will win the green jersey? The Tour de France’s points classification is very much the race-within-the-race – the event’s green jersey of points classification winner is the pinnacle of achievement for the sprinters. Points are awarded on every stage (excluding the team time trial) for finishing in the top placings, and also for intermediate sprints. At the end of the Tour’s three weeks, the rider with the most points earns the green jersey on the podium in Paris. Although it has a reputation for being a competition among sprinters, the allocation of points on every stage means that the classification can favour any rider than consistently finishes highly. Winning stages doesn’t necessarily put you in the green jersey… although flatter stages carry more points than mountain stages and individual time trials. Last year, Peter Sagan (Cannondale) won the classification ahead of Andre Greipel (Lotto-Belisol), Matt Goss (Orica-GreenEdge) and the previous year’s green jersey winner, Mark Cavendish (Omega Pharma-QuickStep). Here, we take a look at this year’s main contenders for the points classification. Cavendish’s second green jersey is expected this year given his recent success, including marking win number 100, and his improving lead-out train. In the Giro d’Italia, he had his most successful run, winning five of the six sprint stages and for the first time, taking home the race’s red points jersey. Not only did the Brit celebrate his 100th win in Treviso, but by Brescia he also became only the fifth rider ever to conquer the points competition in all three Grand Tours. Those victories, in combination with Omega Pharma’s strengthening train, should bode well for the Tour. Last year, Cav had a disastrous Tour de France, relatively speaking. He won the fewest stages, three, since his debut in 2007. Team Sky, with its GC goals around Wiggins and Froome, were just not prepared to lead out the then world champion the way Highroad did in the previous years. As quick as he jumps wheels in sprints, Cavendish left his home team for one that suited his needs. It has not been an easy ride to the Tour for Belgium’s super team. They lacked time to hire specific men and struggled to rally their men around Cavendish. The situation looked its worse in April when the train derailed in Scheldeprijs and OmegaPharma tried to hire Alessandro Petacchi. They rebounded well in the Giro d’Italia, where Cavendish was head and shoulders above the rest. John Degenkolb was the only other sprint winner in the race and he abandoned early. The other days, Cavendish’s men guided him to victory. Omega will have a harder time in France, where the sprint field will be much deeper. Cav will pick up wins, but going for the green jersey could be a chore. Peter Sagan’s versatility allows him to collect points in most stages and André Greipel’s train runs more consistently. The Saganator is in a good position to win the Tour’s green jersey for a second consecutive year, given his form and the scoring system put in place in 2011. He has only become stronger and more versatile since last year, when he took three stage wins and the jersey in his debut Tour. He fired immediately last year. In stage one, he surged ahead of Fabian Cancellara, Edvald Boasson Hagen and Philippe Gilbert to win in Seraing, taking the full 45 points. He would gain many more after that. The 23-year-old Slovakian has shown no sign of letting up this year. In the Classics, he dominated with a string of top-threes. He won Ghent-Wevelgem and Brabantse Pijl, and placed second in Milan-San Remo, the E3 Harelbeke and the Tour of Flanders. That would be enough for a Classics star, but not so for Sagan. In the meantime, he racked up wins in Oman, Tirreno-Adriatico and, in May, the Tour of California. What is frightening and unique is that he can win bunch kicks as well. In California, he won against Tyler Farrar (Garmin-Sharp) and Michael Matthews (Orica-GreenEdge). 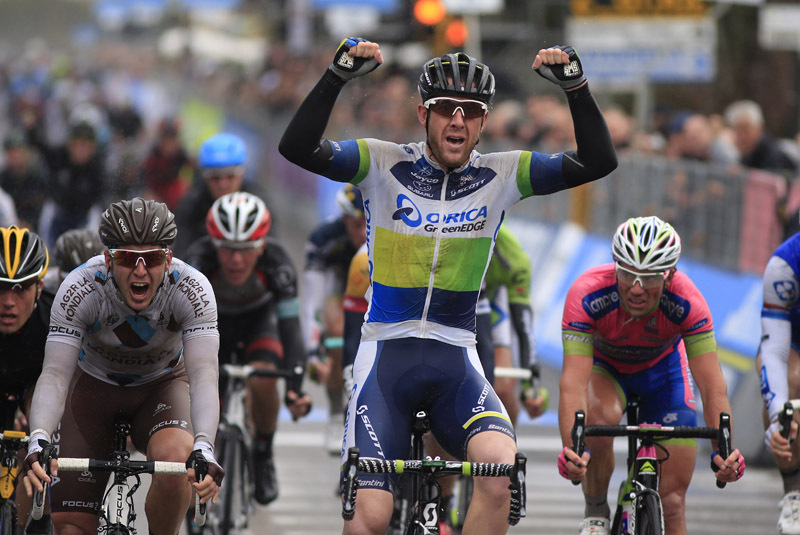 He beat the best, Cavendish, for the first time head-to-head on a wet day in the Narni Scalo leg of Tirreno-Adriatico. Cavendish may be the fastest sprinter in the world, but Sagan brings a wider-ranging skills-set to the Tour. That means he can collect more points along the way to Paris. He is good in a bunch kick and great when the road ramps up. His second stage win in Boulogne-sur-Mer, a medium mountain day, earned him 30 points. Cavendish and Greipel were not even in the top 15, a concern for them as they try to beat Sagan in the race for green. Greipel only keeps improving in the years after leaving Team Highroad and the intra-team battles that ensued with Cavendish. Heading into the Tour this year, he has plenty of wins that are backed by a disciplined sprint train. They fired perfectly from Australia onwards, Greipel finishing off the work of Adam Hansen, Greg Henderson, Marcel Sieberg and Jurgen Roelandts. He opened his account in the Tour Down Under, where he won three stages, and bounced back well after the Classics. Greipel holds a special place in his heart for Paris-Roubaix, hoping one day to become only the second German in its history to win. While Cavendish went to the Giro d’Italia, winning five stages and the red points jersey, Greipel ploughed on with smaller wins in Turkey, Belgium and Holland. However, over the past two years he has proved more than capable at the top level. “This is one of the best moments in my life after the birth of my two daughters,” he said after winning his first Tour stage in 2011 in Carmaux. The win reaffirmed his switch from HTC-Columbia to Lotto and his ability to take on Cavendish. Lotto got behind Greipel in a way that his previous team never could. Not only did they take him to the Tour for the first time, but they also hired engines to lead him to victory (eight in 2011 and 19 in 2012). Cavendish, who raced with a GC-focused Sky team, rode Lotto’s coattails in order to win Tour stages last year. 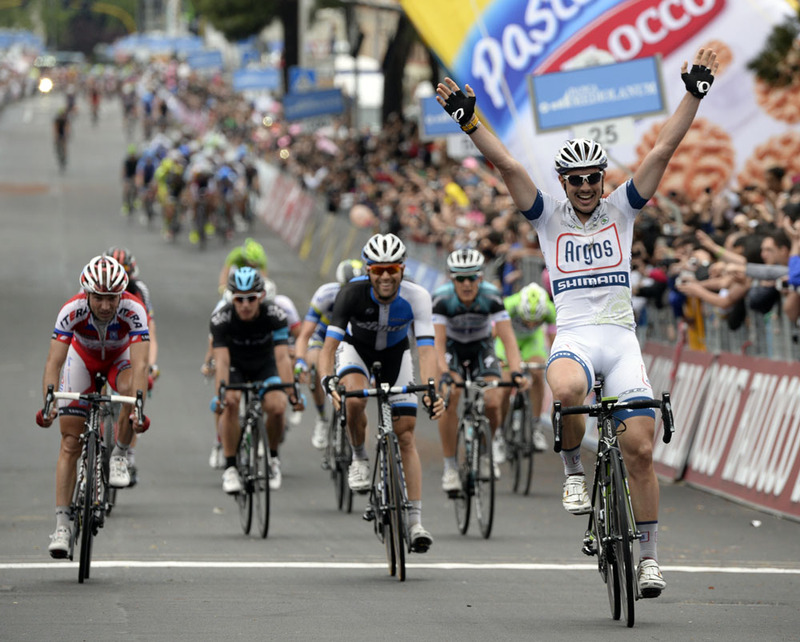 The train, however, delivered Greipel in first-class luxury to three Tour stage wins. Cavendish crashed in the first, but in the second, Greipel beat him fair and square. The confidence gained will only help this year in the fight for stages and the green jersey competition, in which Greipel placed second in 2012. It will be needed, too, as Cavendish will race with a custom train. Kittel sprung to the attention of the bunch with a stage win in the 2011 Vuelta a Espana, and has been racking up the wins – albeit in lesser races – since. His form has been consistent throughout 2013 so far, but the question remains whether he can transfer that level of consistency to the three weeks of the Tour de France. One issue that may rear its head for Kittel is sharing sprint duties with team-mate John Degenkolb. Matt Goss might be one of the nicest riders you could bump into in a bunch sprint. Talkative and unassuming, does the Australian lack the ego or killer instinct that a successful sprinter seems to need? His solitary win in the last 12 months may be a cause for concern, but his consistency isn’t. Six top-five finishes at last year’s Tour saw him finish third in the green jersey competition just 12 points behind Greipel – a long way behind Sagan, of course. Goss will get good backing from his team, looking to win their first Tour stage. He desperately needs to win to repay their faith in him. A fifth and a third place at this year’s Giro wasn’t very impressive when compared with Cavendish – the man Goss will have to try and beat in the Tour. The French cannonball isn’t afraid of bumping other riders off of a wheel at 70kph and as a result isn’t the most popular man in the peloton. He is snapping at the heels of the likes of Cavendish and Greipel in the bunch sprints. Realistically, he has no chance of challenging for the green jersey, as he won’t make it to Paris – he’s only 22 and the furthest he’s gone in a Grand Tour is stage 13 (Vuelta, 2012). You get the impression the French would love a big-name sprinter to cheer – the discipline has been dominated by other nations for well over a decade. Bouhanni still doesn’t have the speed to match the top men, but if there’s a tricky finish or mass pile-up, he may just jump out of the melee to grab a win. John Degenkolb represents one half of Argos-Shimano’s sprint double act along with Marcel Kittel. The 24-year-old German may only have one win on his palmares for this season – but it was a stage win at the Giro d’Italia, albeit a crash-affected one. His staying power in tougher stages could serve him well in the fight for points, but it’s more likely he will be upstaged by Kittel.